Following up on the theme of wasted food, introduced today by Mrs. Green over at My Zero Waste, I’ve been doing some research on food waste over here in North America. 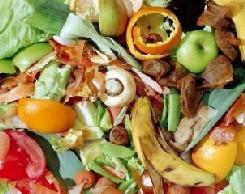 Can you believe that 25% of our food goes into the trash?! That means for every 4 apples you buy, you throw one out. Seems ridiculous doesn’t it? And that statistic doesn’t even account for the food that never even makes it to the stores due to physical imperfections and crop disease. We recently did an interview at our local green grocer, and we learned that, even though they discount food that is getting old and cut up veggies into stirfry bags when they are getting really old, they still throw out a lot of food. They told us that the number one perishible food in the store is berries. Sometimes an entire flat of blackberries is mouldy by the time it arrives at the store, and they have to throw the whole thing out. Or worse, when most of the fruits are going bad in a box, and it is often not worth the time to go through and pick out the good ones. I’ve also been learning a lot from http://www.wastedfood.com/ by Johnathan Bloom. Johnathan is writing a book about food waste in America, and reports on all sorts of things such as how school cafeterias are saving food waste by eliminating trays. “How does that work?” you ask.It seems that when students have a tray, they are more likely to fill it up with food, and more likely to have leftovers that end up in the trash. But when they just have a plate, they carry less to their table, eat less, and waste less. Seems simple, but I never would have thought of it. Quest has a sit-down soup kitchen where they serve hot meals and a commercial kitchen where they preserve perishables for the winter months. 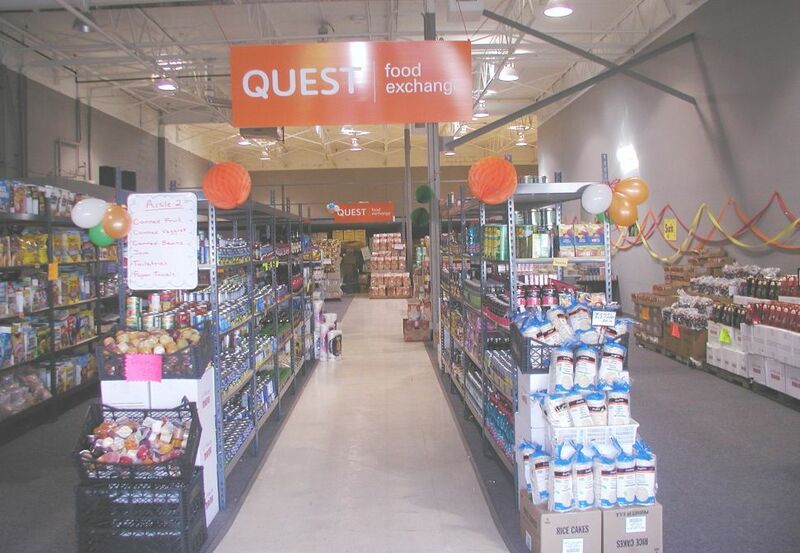 They distribute food to shelters, food banks, lunch programs, and non-profit organizations and operate “low-cost grocery stores” where people on social services can shop for real food like fruits and veggies and meat (not just kraft dinner and spam) for a fraction of what they would pay in a regular store. Whatever Quest doesn’t use, they send to overseas to feed more than 300,000 people a month in Sudan and Nigeria. Plus they compost what they don’t use, diverting tons of rotten food waste from the landfill. So how’s that for an inspiring story about wasting less? I think sometimes it’s easy to focus on the bad and the garbage and the waste in our society, so it’s great to find an organization that is making a real difference and helping people and the environment at the same time. I think that it’s terrible that 25% of our food gets wasted, especially when so many people can’t always afford to fill their fridge every week. I’m happy to hear that some grocery stores are changing and trying to waste less food.